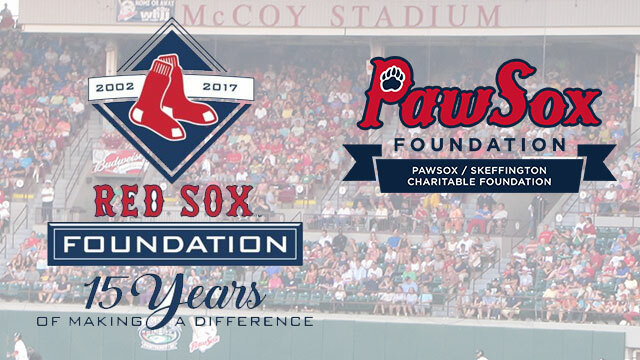 The Red Sox Foundation and the PawSox Foundation, the charitable arm of the Pawtucket Red Sox, today announced a partnership to support all 48 Little Leagues throughout the Rhode Island. The relationship will include leadership and instructional skills training for coaches and administrators. "We are proud to partner with our Triple-A affiliate, Pawtucket Red Sox, to support Rhode Island Little League and expand on the important work the Red Sox Foundation has begun with Boston's inner city youth through Rookie/RBI programs and Little League teams in Massachusetts," said Red Sox Foundation Board Member Mike Egan. "As a former little leaguer, I know how important playing the game as a child can be to fostering a lifelong love for the game, and we look forward to helping the league pass along the invaluable lessons about teamwork and camaraderie that baseball imparts." The partnership will assist the 48 leagues with production and development, and will include sponsorship of three events: the Rhode Island Little League State Tournament, which opens on Saturday, July 22; the Rhode Island Little League Volunteer of the Year Award, which will be presented in August; and a coaches' clinic this fall. "The support of the Red Sox Foundation, PawSox Foundation and its partners on the Rhode Island Little League program is real and tangible," said Rhode Island Little League Board Member John Pesaturo. "The sponsorship that is available to each league provides them with funding along with opportunities for teams to come to Fenway Park and for some, a special mascot visit to their home town. Chartered Leagues from Providence to Newport are enjoying a new connection as part of Wally's team thanks to the Red Sox Foundation!" "As Rhode Island's professional baseball organization, we are eager to embrace and enhance our support of the Ocean State's Little Leagues," said PawSox President Dr. Charles A. Steinberg. "We are continually inspired by the commitment of coaches and administrators who devote so many hours to our children, and we are constantly gratified to see these children learn the lessons of life that baseball can teach." The tournament's opening ceremonies will take place in Johnston, Rhode Island, hosted by Johnston Little League at Kennedy Field at 1583 Hartford Ave. The Volunteer of the Year, a coach selected based on nominations by peers and teams, will be honored at Boston's Fenway Park on Rhode Island Day, August 1st, and again at Pawtucket's McCoy Stadium later in the month. Applications were made available by John Pesaturo, Rhode Island Little League, District Administrator, and were due July 3rd. The coaches' clinic will take place in the fall. The 48 Rhode Island Little Leagues, comprised of over 1,100 teams and over 16,000 children from ages 5 to 16, allow Rhode Island's children play baseball and softball, and learn the importance of teamwork, sportsmanship, and inclusion.